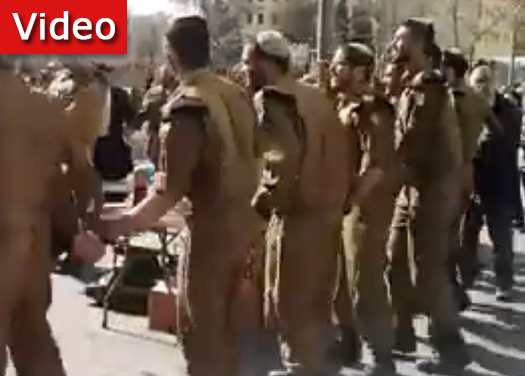 Only in Israel might you find a group of uniformed soldiers dancing at a bus station. This video, reportedly taken Friday before shabbos, shows a large group of soldiers dancing around the Chabad tefillin table at Jerusalem’s central bus station. If you know any details on the story behind the video, share it with others in the comments. May Hashem protect our soldiers 24/7 and keep them well and safe . . . always! Fabulous sight. May Hashem protect always. its probably dovber cohens tefillin stand. 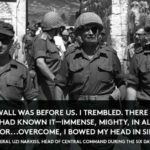 he is there every day,all day long.every time i pass by, there are soldiers putting on tefillin.